I went to Taipei last month, and I was so inspired, I really want to share the story with you. But, I know you'll be bored reading my not-so-interesting story there, that's why I package it into some kind of a travel guide. It's not like some kind of the expert kind-of guide -- because it was my first time there, but it's more like a travel guide from a first-timer point of view, dedicated to fellow first timers, like you -- who are reading this. I was afraid to go to Chinese speaking countries, because I have this Chinese looking face, but I can’t speak Chinese. Thus, I’m afraid when I go to those countries, I won’t survive the language barrier, lol. However, Taipei turned out to be different. They are extremely tourist-friendly for a country which written language is not in latin. The MRT system is really nice – I think it’s better than Singapore’s – the direction is very easy to understand as well. The people are really nice too. They are friendly and are willing to help me eventhough I’m not speaking their language, and they tried hard to speak English. Other than that, the living cost is very cheap; the hostels are cheap and really nice, the foods are super cheap too! Can you believe that for transportation, data package, and food, I spent only IDR 1.5mio (around 3.500 TWD) for 4 days? Okay now, enough with the intro, let’s get to the main business: the so-called travel guide to Taipei for the first timer! Yay! First thing first: Do I need a visa to enter Taiwan? It depends on your country of origin. You may check here to see whether or not a visa is needed for you to enter Taiwan. As for me, since I'm an Indonesian, I need to apply for a visa to Taiwan. But, Taiwan has a visa exemption program for Indonesian passport holders who are currently holding a valid multiple entry visa from one of these countries: USA, Canada, Japan, UK, Schengen visa, Australia, or New Zealand. These people will only need to apply for a Travel Authorization Certificate online, and they can go visa free for 30 days to Taiwan. Complete information about this program can be read here (Bahasa Indonesia only). Meanwhile, you can also check on how to apply the regular visa to Taiwan here -- also in Bahasa Indonesia. A brief about Taipei's districts/area. I always do research on how a city is divided into areas before each of my trip. That way, I would know where to stay, what areas are considered as the city center, as well as the areas that needed to be visited. Taipei is the capital city of Taiwan. It is a huge city with several districts: Wanhua, Datong, Zhongzheng, Zhongshan, Daan, Xinyi, Songshan, Beitou, Shilin, Neihu, Nangang, and Wenshan. The first seven districts are the main districts, while the last five are the suburban one. Each district has its own characteristic. Wanhua is the oldest district in Taipei with so many historic buildings like Longshan Temple, the Red House, and Bipiliao Historic Street. 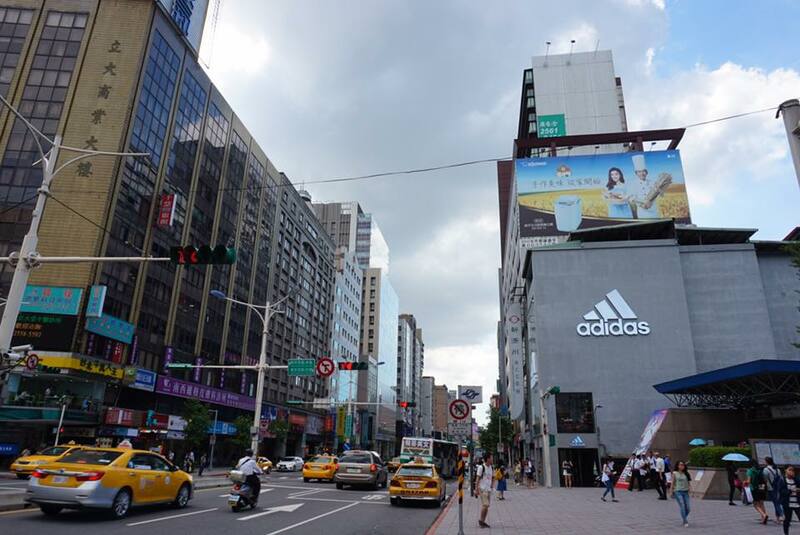 But, Wanhua is also the district where “The Shibuya of Taipei” a.k.a Ximending sits in. Other than Wanhua, Datong is also one of the oldest areas in Taipei. 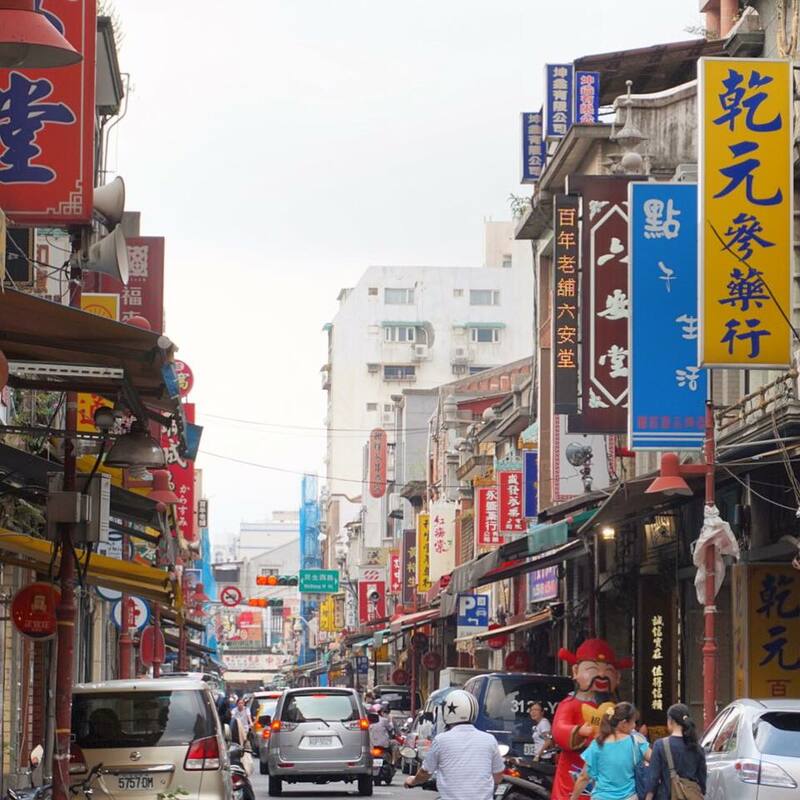 In fact, it houses the oldest street in Taipei, which is Dihua Street, that has been there since the World War II. While not having the old look, but Zhongzheng actually is the place where the Presidential Office and important government ministries are in, as well as one of Taipei’s major tourist attraction, which is the Chiang Kai-shek Memorial Hall. 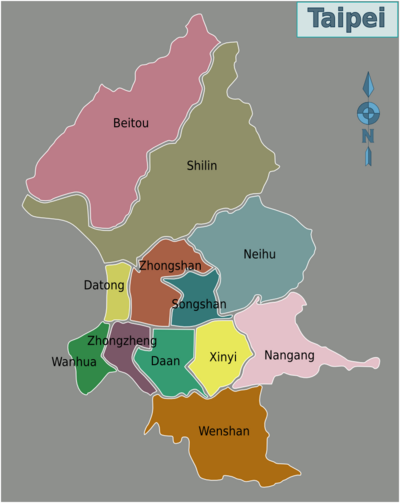 On the other hand, districts like Zhongshan (my personal favorite), Daan, and Xinyi, are the more modern and hipster one. Zhongshan has the New York-ish feel with big roads, tall buildings, and those tree lines along the road. While Daan and Xinyi have plenty of bars, restaurants, and shopping malls. How to go to Taipei city center from the airport? When you arrive from another country, you will land in Taiwan Taoyuan International Airport (TPE). From the airport, there are no MRT to the city. Instead, for budget travelers, you can take either the HSR/TRA (Taiwan’s High Speed Rail or Regular Railway) or (the easier one would be) the bus. If you have spare budget, you can definitely catch taxi just outside the arrival hall. To take the bus, just go to the basement of the airport, then you’ll find some lockets that sell tickets to different destination. Choose the one that is headed to Taipei Main Station. It will cost you 125 TWD one way using the 1819 bus. From there, you can either continue your journey with MRT, bus, walking, or take another HSR/TRA ride, depending on your desired destination. The road just outside Zhongshan MRT station. Love! Taipei has 4 main transportation system to go around the city: MRT, bus, taxi, and U-Bike. Just buy an IC Card at any metro station or convenience store, and you can use that card to pay for your MRT, bus, trains, U-Bike, and even to pay for anything that you buy at the convenience store. The starter pack is 100 TWD and you can top up anytime you want. Other than IC card, you can also buy the 24/26/72 hours unlimited passes or the daily passes at the metro station. A bus ride usually cost you 15 TWD one way, while an MRT ride cost you around 20-65 TWD, depending on how many lines that you have to cross to go from one destination to another. Outside most MRT stations, you'll find a U-Bike station, where you can rent for 10-40 TWD per half an hour, also using the IC card. Just take one from one station, then put it back to the nearest station at your end destination. To go outside the city, you can use either the regular train (TRA) or the high speed train (HSR) at different prices, depending on the destination. You can also buy daily passes for these trains if you plan to move to different parts of Taiwan a lot. And, you can also pay this TRA/HSR ticket by using your IC card. TRA/HSR station is not available in every station, but you can definitely catch a train from Taipei Main Station, the central station of Taipei, which is HUGE, because it is not only consisting of MRT, TRA, and HSR station, but also an underground mall. But don't worry, it is very clear in terms of direction. Which card/passes to choose? It depends on you. If you plan to use MRT more than 10 times a day, then buy the daily passes because it's definitely cheaper. However, if you're not sure you'll use MRT that much, and probably will be using bus or train as well, then I'd suggest you to buy the IC card instead, because you can control your spending. And, only IC card that can be used to pay for MRT, bus, trains (TRA/HSR), as well as to rent the U-Bike. A lot simpler and easier. Depending on your preference, Taipei has quite a lot to offer to different kind of travelers. For you who love history, you should definitely visit Chiang Kai-shek Memorial Hall, Sun Yat-sen Memorial Hall, and National Palace Museum to know the history of Taiwan. For you who wants to feel the religiosity of Taiwanese, go to one (or more) of many Taipei's temples. The most popular one is Lungshan Temple that is located near Huaxi Night Market and Bipiliao Historic Street. 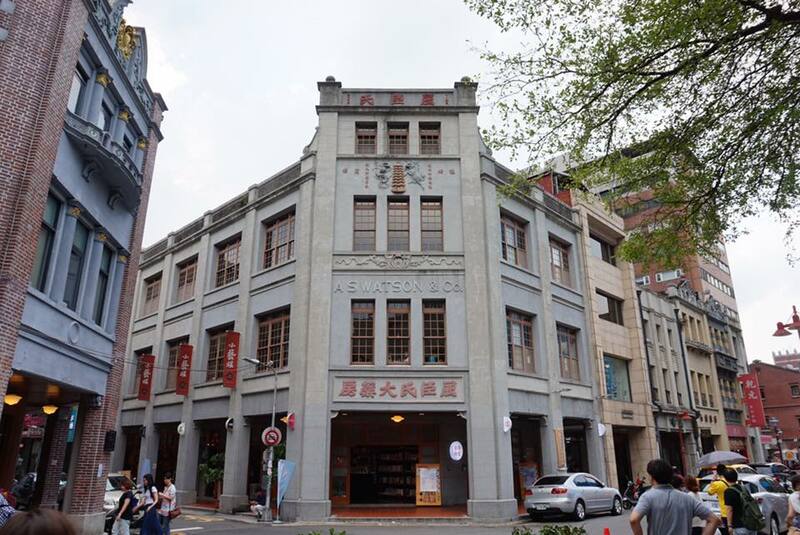 Taipei has so many old streets and areas that will take you back to the pre-war area with buildings that are still maintained and reserved as it is. One of them is Dihua Street or Dadaocheng in Datong area. This area was very interesting for me personally, because tucked between those Chinese herbs sellers, you'll find modern and hipster coffee shops or art/design shops. 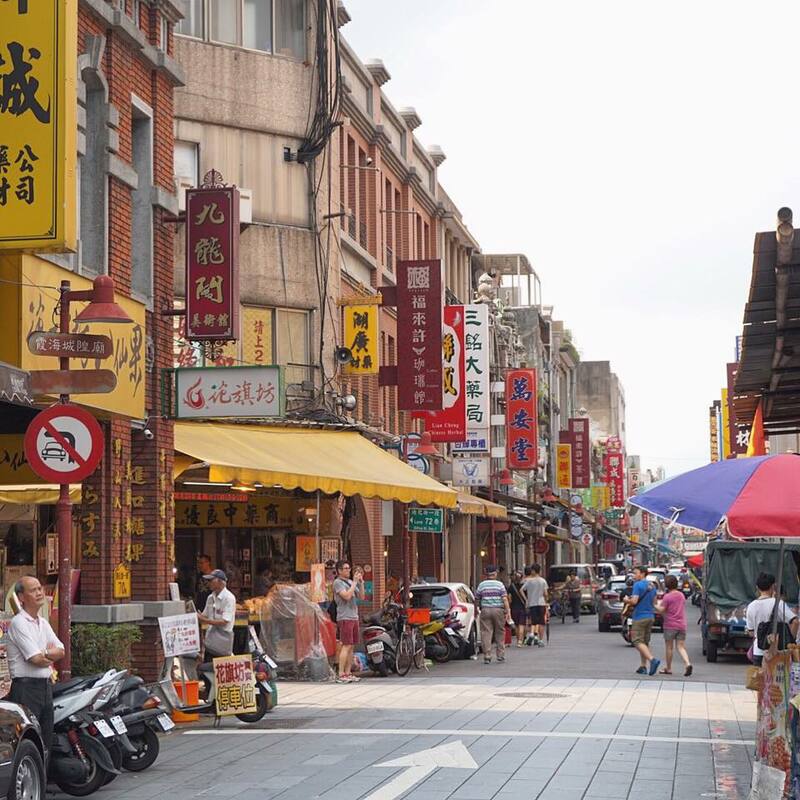 There is also Bipiliao Historic Street, the area that is conserved for travelers to see what the houses look like during the Qing Dynasty, Japanese, and World War II era. Other than that, there is also the Red House Theatre, the historical theatre near Ximending. It doesn't belong to any of the category above, but Taipei 101 is definitely a must visit for a first timer, you know, just to make sure your visit is "official". It was the world's tallest building until 2009, before the Burj Kalifa of Dubai passed the record. But basically, Taipei 101 is just a skyscraper that is functioned as an office building, shopping malls, and of course, due to its height, an observatory deck -- that becomes the main attraction of tourists. a. Through Taipei 101's Starbucks on Level 35. This is a secret only Taiwanese know -- at first. But because of someone blogged about it, then this information is accessible for anyone, anywhere. This Starbucks is the highest located Starbucks in the world. And instead of paying 500 TWD just for an observatory deck, you can go here and spend a minimum of 200 TWD per person to enjoy the magnificent view from above for 90 minutes while drinking your coffee. A pretty good deal, huh? But, you can't just take the elevator and bring yourself up. You need to make an appointment first. How? Read it here to find out. Well, you won't get the same view like what you get from inside the Taipei 101, but I think this spot offers a better view, and... it's free. 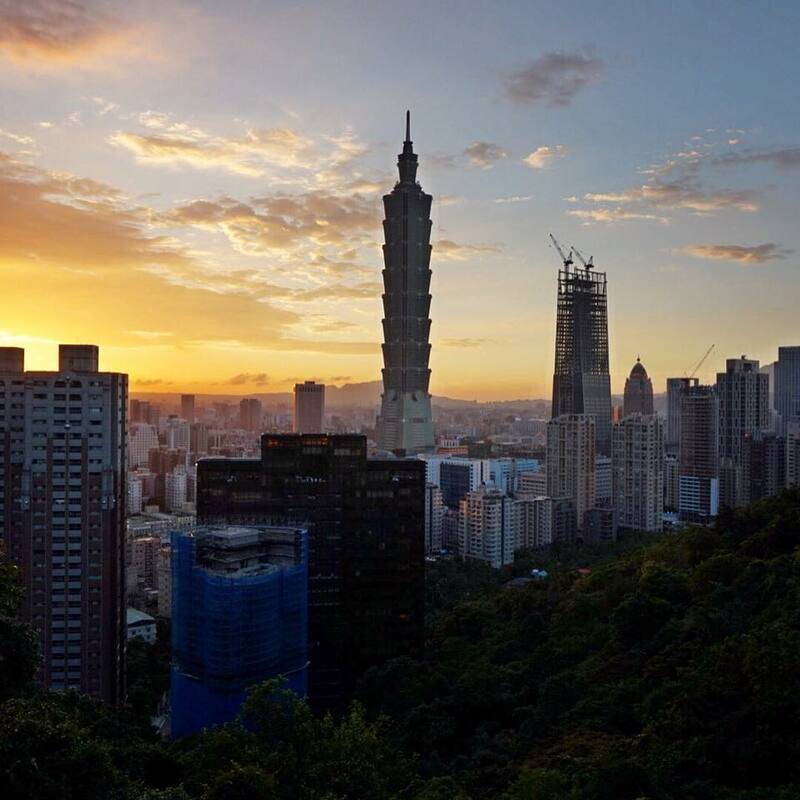 You just have to walk around 1.2 km or 15 minutes from Taipei 101, climb the hiking trail for another 15 minutes, and you'll see this breathtaking view overlooking Taipei 101. Just go there during the sunset time and wait until the sky goes dark and the lights from the buildings are lit. All those sweats are now worth it. Next up: Where to stay, where to shop, where to hangout, and where to eat (plus what to eat) on A Taipei City Guide for a First-Timer part. 2!